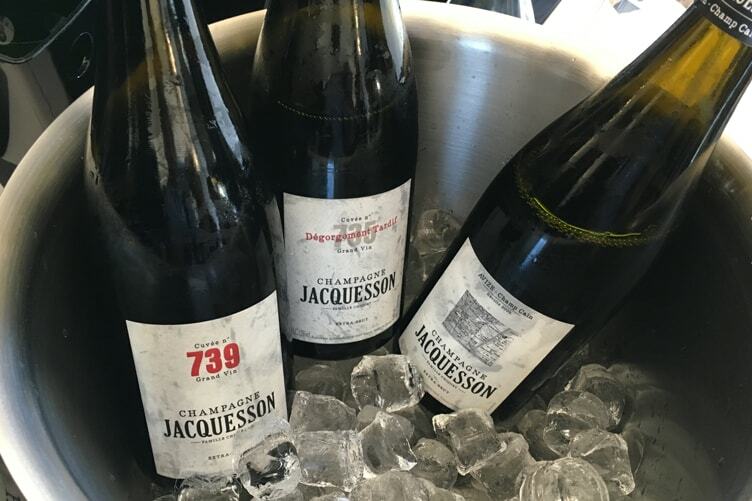 Have you ever taken part in a wine event? 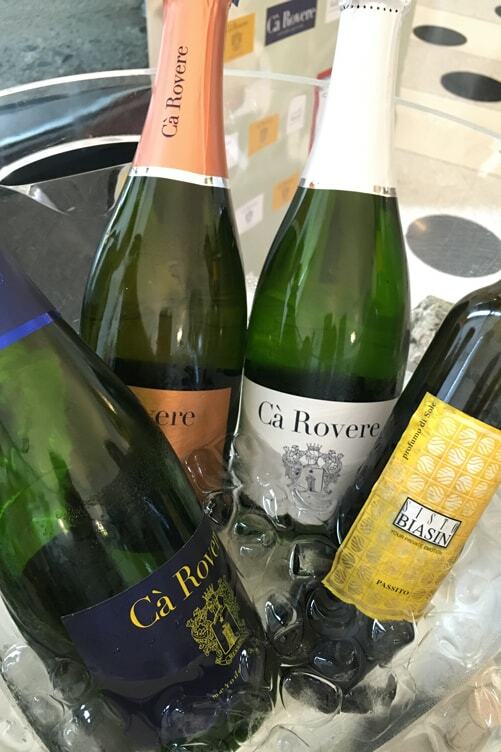 During the first three days of October, Bottiglie Aperte event took place in Milan, Italy. More than 10.000 wine bottles had been opened. Very amazing! I was there all these three days and I showed you by Snapchat what happened. If you have missed it, I can send you my Snapstory! Now, I want to write you my impressions. Bottiglie Aperte was founded in 2012 by Federico Gordini. Federico is often protagonist in the main wine and food events in Milan. He’s also the creator of Milano Food Week and The Tank. The aim of Bottiglie Aperte is to create the favorite meeting point for winemakers. 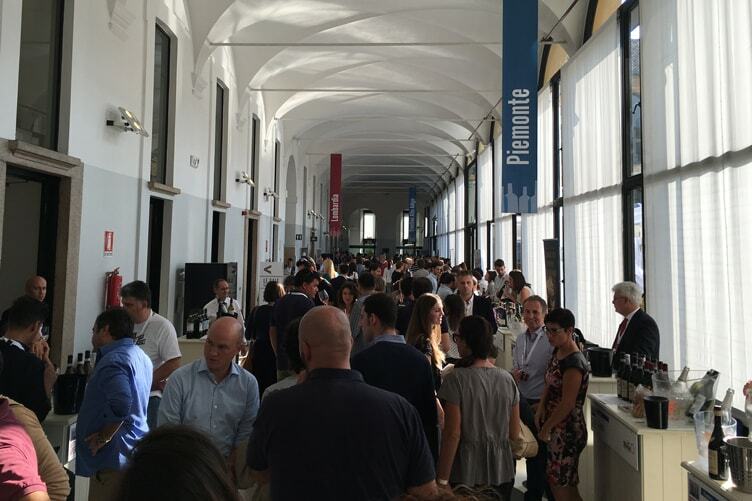 A wine show in which Italian wine and food are the main characters. The location of the 5th Edition was Palazzo delle Stelline. Here, more than 170 wineries offered wines tasting of their best wines. Once taken a wine glass, your wine journey among the Italian regions could started. In few minutes you could move from Piedmont to Puglia! Every winemaker was happy to tell his wine story or how he produces his wine. Some of them showed pictures or videos about their wineries and vineyards. You could also find those who invited you to visit their winery! In this edition there were also great wine experts: Luca Gardini (expert communicator of wine and influential Italian palate at the international level), Andrea Grignaffini (journalist and creative director of Spirito di Vino), Enzo Vizzari (director of Le Guide of L’Espresso) and Pierluigi Gorgoni (winemaking professor of Alma). In addition to wineries, you could also find stand of top wine accessories like Wine-Design with its “Decanterino” or Coravin. In addition to wine tasting of wineries there were also 15 Masterclasses for a limited number of people. The amount of these Masterclasses will be donate for earthquake victims of Middle Italy by Corpo Italiano di Soccorso dell’Ordine di Malta. Performer of Masterclasses were Andrea Grignaffini, Luca Gardini, Marco Tonelli, Pierluigi Gorgoni, Renzo Cotarella, Orazio Vagnozzi, Valentina Bertini and Sissi Baratella. 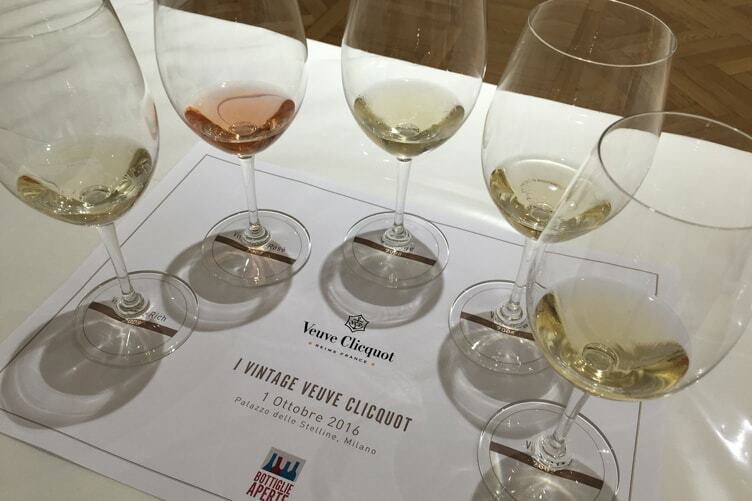 I’ve took part at two Masterclasses: “I Vintage Veuve Clicquot” and “Speciale Dom Pérignon”. Speaker of both tastings was Andrea Grignaffini, that through his great personality let us feel sensations, smells, tastes of these two big Maison to those who took part in. There were other Masterclasses that obtain a great success. For example “Istinto e passione: ES e ES più Sole” always with Andrea Grignaffini in which he showed Primitivo di Manduria as straw-wine and simply wine, or the horizontal tasting “Antologia dello Champagne” with Marco Tonelli, here you could find Blanc de Blancs Louis Roederer 2010 and Perlé d’Ayala 2005. 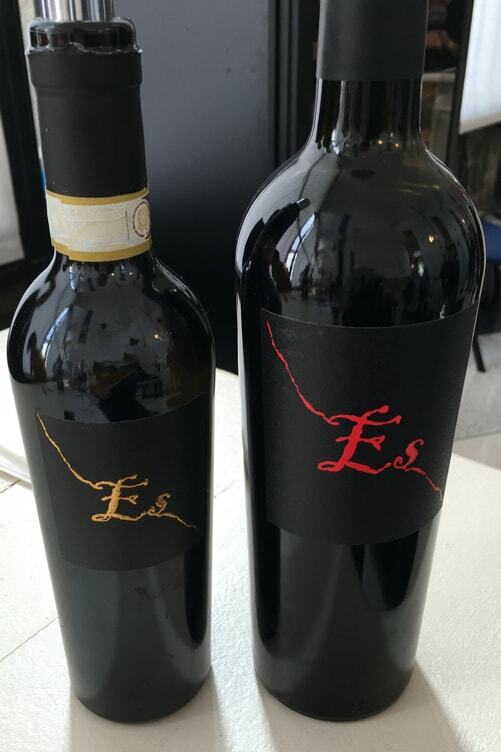 Considerable importance also for “Barolo vs Brunelli” with Sissi Baratella and “Guado al Tasso” with Renzo Cotarella and Orazio Vagnozzi. In the first Masterclass with Veuve Clicquot I’ve tasted five champagnes: Vintage Rich 2008, Vintage Rosé 2008, Vintage 2008, Vintage 2004 and Vintage 2002. We started from Vintage Rich 2008 with its sweet taste. 2008 was an hard year but at the same time very productive, in fact you can find an high acidity in Vintage Rosé 2008. It’s so fresh that you can combine with a lot of courses. Then we tasted Vintage 2008, 2004 and 2002. Each year gives particular characters at this champagne. In Vintage 2008 you find an high concentration of lemon and salt. 2008 has been an year sharper than 2004, that follows classical characters of champagne. While 2002 has been an exceptional year! All these champagnes have reached the right ripeness. 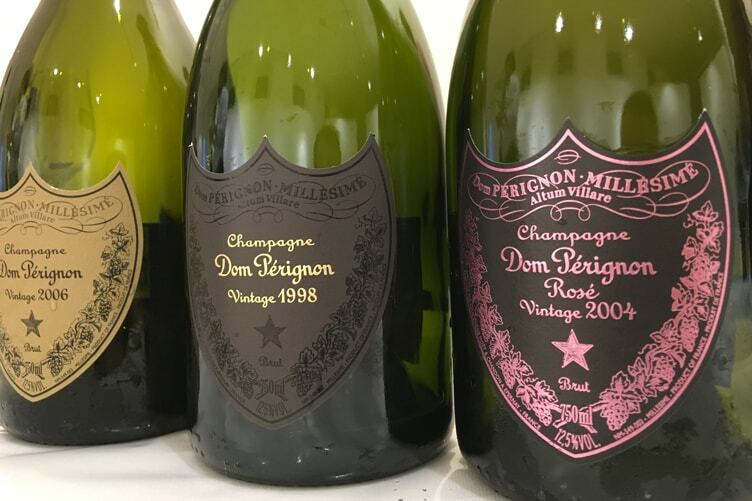 For Dom Pérignon tasting we started from Vintage 2006 that is close-focused and it has high acidity. Then we tasted Rosé Vintage 2004. It’s defined simply perfect and you can combine with any course. The last tasting was P2 Vintage 1998. About this champagne I have only great thoughts. It’s excellent, elegant and fresh! Dom Pérignon is one of my favorite champagne Maison. There were also a food area in the yard of Palazzo delle Stelline. You could find the flavour of Italian territory. From cured meats to the chocolate or from Grana Padano to salmon. Furthermore there were taralli, flat bread, breadsticks and many other bakery products. And to complete the lunch, there were also coffee. I have really appreciated this opportunity to discover tastes of tradition. 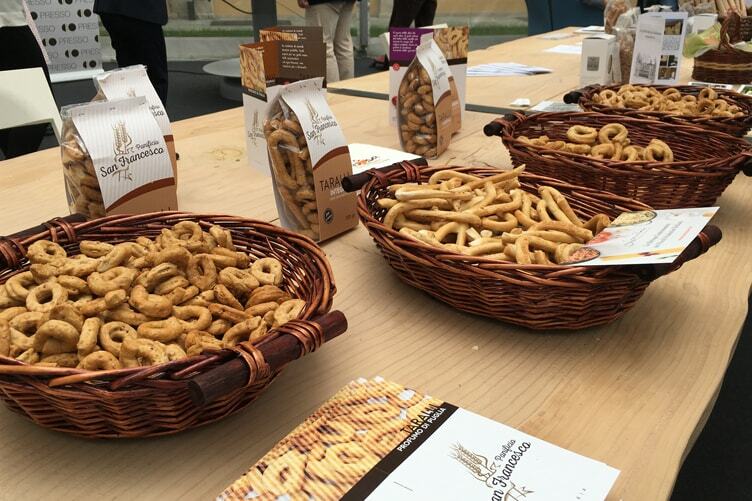 Maybe for the next year I can try to suggest to Federico to collocate 20 stands into the food area, one for each region, in order to offer the possibility to taste typical Italian products. Between a wine glass and another, there were also time for two conferences. First workshop were about Bon Ton of wine and storytelling 2.0, from books to social medias, how wine and food sector is evolved. 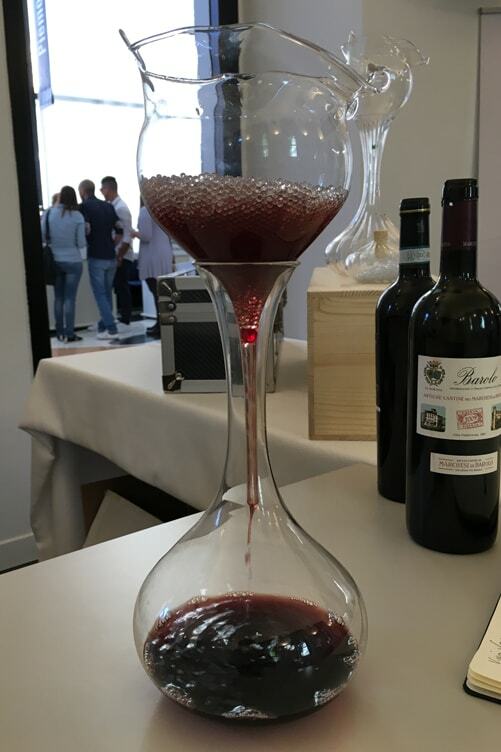 The other conference, realized with Mixer, was about the role of wine glass in retail and evolution of consumptions in wine bar and wine corner. A news about this edition was Champagne day! On Monday 3rd October, from 10:30 to 19:00 there was Club Excellence of distributors and importers with their best labels. 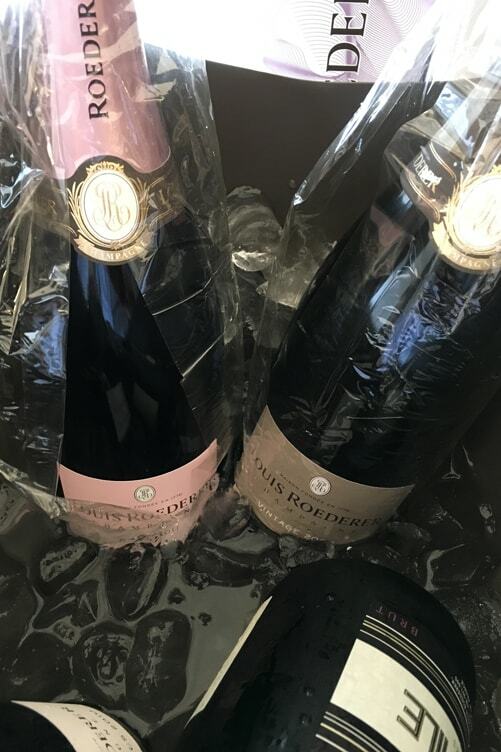 For example you could find Louis Roederer, Jacquesson, Bruno Paillard, Encry, Bollinger and many others. I think that this day was very expected because there were a lot of champagne lovers! Every stand was full of people. It has been a great success! Sunday evening, there was the assignment of two well-known awards: Wine Style Award and Wine List Award. The first was for the winery with the best image and communication. Today is very important to know how propose products and how to sell them. The committee of Wine Style Award was made up of journalists of wine sector, experts of communication and design. The winners of this prize have been Clavesana for “Best Trade Show Appearance”, Ciù Ciù for “Best Social Communication“, Marchesi di Barolo for “Best Website” and Castello d’Albola for “Best Packaging”. The other award has been assigned for the location with the best wine list. Committee of Wine List Award was made up of journalists, ecologists and experts of the field. Here, winners were Antica Osteria della Cera for “Best Star Restaurant”, Seta Mandarin Oriental Milano for “Best Hotel Restaurant”, Assunta Madre for “Best Fish Restaurant”, Il Marchese del Grillo for “Best Meat Restaurant”, IYO for “Best Ethnic Restaurant” and Trimani for “Best Wine Bar With Kitchen”. Furthermore was assigned a special WSA to Gavino Sanna, an historical Italian publicist and a big man of wine with his winery Mesa. 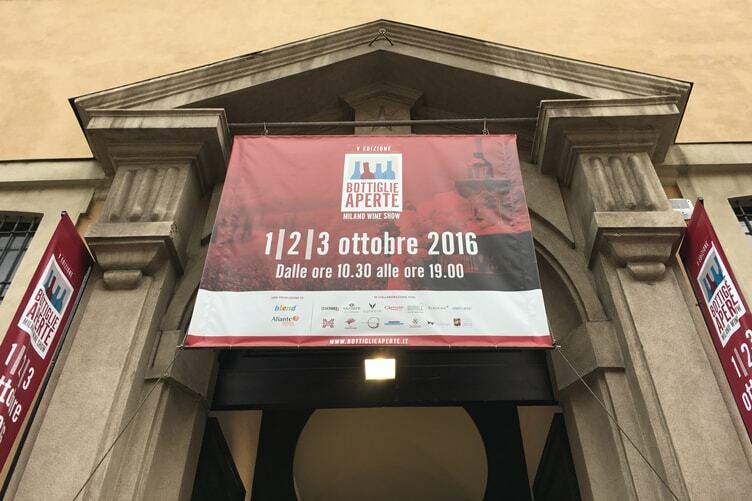 From 26th September to 3rd October you could taste a huge variety of wines in many locations of the wineries present in Bottiglie Aperte. 35 locations in Milan had represented the wineries of Bottiglie Aperte. There were wine tasting and other wine and food events. Thanks to these events all people in Milan could live this wine show through different point of view! I’m looking forward to take part in the next edition. I hope to meet you all to drink a good wine together! Stay tuned on my wine channel so I’ll inform you about the next appointment! If you liked this article, you can share it on Twitter!